1. Tell us about your band: who are the members, and how did you get started? 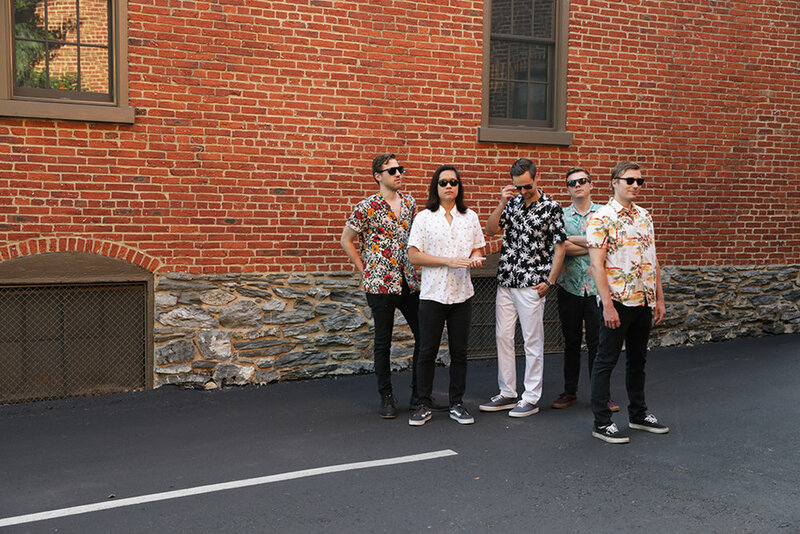 Thunder Club consists of Garrett Cusack (vocals), Dennis Chen (guitar/vocals), Conor Johnston (bass/vocals), and brothers Pete (guitar) and John Burkhardt (drums). Most of the band grew up together, and we all played together in various lineups until about two years ago, when we decided to form one band. After releasing our popular debut EP in 2016, we entered and won a Battle of the Bands to play at Towson University's Spring Festival, which established our name in the Baltimore area. Since then, we've received extensive radio play on WTMD, and brought our show to Lancaster where we performed at Tellus360 and Longs Park -- both as features for the 2017 Longs Park Summer Series. Just recently, we were invited to showcase at this year's LAUNCH Music Conference, which was fantastic! 2. What kind of music do you play, and how would you describe your vibe? Thunder Club combines groove and melody into one uptempo and catchy indie-rock package. Although we try not to confine our sound to our influences, fans of bands such as early Kings of Leon, Arctic Monkeys, and The Strokes will find our music relatable and familiar. We have a reputation for throwing an incredibly energetic live show that always has people dancing. Thunder Club shows are always fun and always a party! Our passion for what we do comes through in our live performance, and we are so lucky to be able to do what we love on stage. 3. You've said that you put together albums fairly quickly, and that you attribute that to being a cohesive group with a similar vision. Tell us more about your creative process. Almost all of our songs are started when we are all together in rehearsals or jams, which tend to be free flowing. We don't have a dedicated songwriter, and since band members are split between Lancaster and Baltimore, we often demo the ideas we write in practice and develop our own parts separately to maximize efficiency. Since we've been playing music together for so long, we have fantastic chemistry between the band members that's palpable through the music. Our songs tend to develop quickly due to that fact. 4. Where are some places that you play? In Lancaster, we've had the pleasure of playing terrific venues such as Tellus360, Longs Park Amphitheater, and even Penn Square in the heart of the city! Down in Baltimore, we regularly play popular venues such as Metro Gallery, Ottobar, Joe Squared, and Baltimore Soundstage as well as a few shows in WTMD's studio for broadcast. 5. Where can fans get your music? Our music is distributed through all of the major online music services. Spotify, Apple Music, Amazon, YouTube, Bandcamp, Pandora... the list goes on! We really aim to be as accessible as possible. 6. What would you say was your biggest learning curve as a group when it comes to being able to write and perform well together? Starting out, we were all so incredibly familiar with each other in a band/music setting that there was little to no awkwardness or clash when it came to writing and performing together. The adjustment period was almost nonexistent. We'd say the learning curve was creating our own identity and sound that sets us apart. Our songwriting has matured a lot from when we released our debut EP in 2016 -- the songs are a lot more developed, we have a much better vision of what we want our songs to sound like in the studio and live, and we've really established a unique sound that's distinctly ours. 7. What are your hopes and plans for the future? This summer, we're releasing a new EP titled Summer Vice that we are all incredibly thrilled with and cannot be more excited to share with the world! Each song on Summer Vice is unique and each is a different flavor of Thunder Club. A little bit of rock, a little bit of roll, and lots of catchy beats and melodies. While we've enjoyed some success in our journey so far, we're hoping to take it all the way!